Not only does the movie “A Dog’s Purpose” answer that very question: Lasse Hallström, who directed, is wrestling with another, one that must have been puzzling Hindus and Buddhists for centuries. That is: when a dog dies, a good dog mind you, into what living thing is it reincarnated? To find the answer to the first question, you have to see the picture. The intriguing, albeit not original, answer is revealed near the conclusion. As for the second, the Golden Retriever named Bailey is so good, so really good, that he returns to earth after his demise as…you guessed it. A dog! Remember what “dog” spelled backwards is, and you’ll realize that the highest form of life for a dog that has (temporarily) gone to his Great Reward, is to come back as another, but always a different breed. The tale of reincarnation focuses on four principal dogs; Bailey, Buddy, Tino and Ellie. After each one dies (the demise occurs offstage), the new incarnations are fully aware of their previous lives despite being of different breeds. 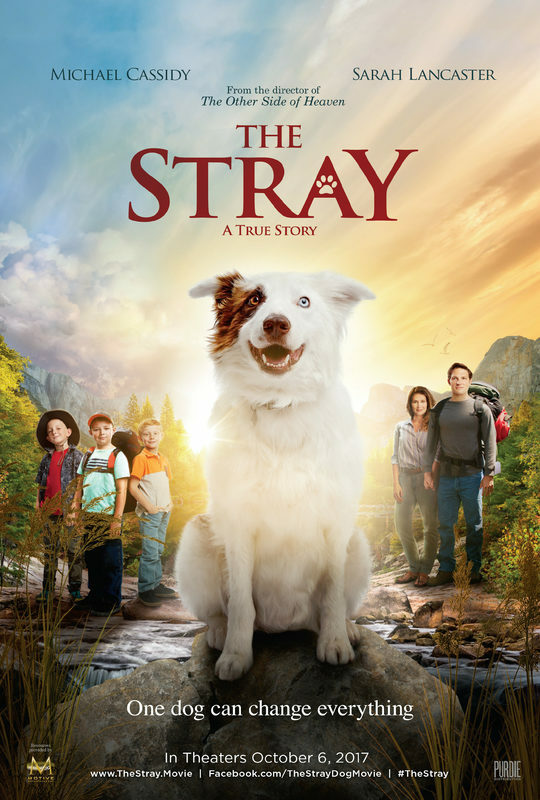 The most lovable, Bailey, a golden retriever, is taken in by young Ethan (Bryce Gheisar) who implores his dad to adopt him. Since they live in a rural area,that should have been a no-brainer, though dad’s good will is to be tested later when he becomes a drunk and fights with his wife. Ethan throws the football; Bailey retrieves. Ethan meets cute Hannah (Britt Robertson) at a festival site. They like each other, the dog interferes with their kissing, Ethan gets a full football scholarship to a college in Michigan, but tragedy strikes. When Bailey becomes too old to play and ultimately dies, he is reincarnated into a Pembroke Welsh Corgi, who is later reborn, and then again and again: déjà vu. 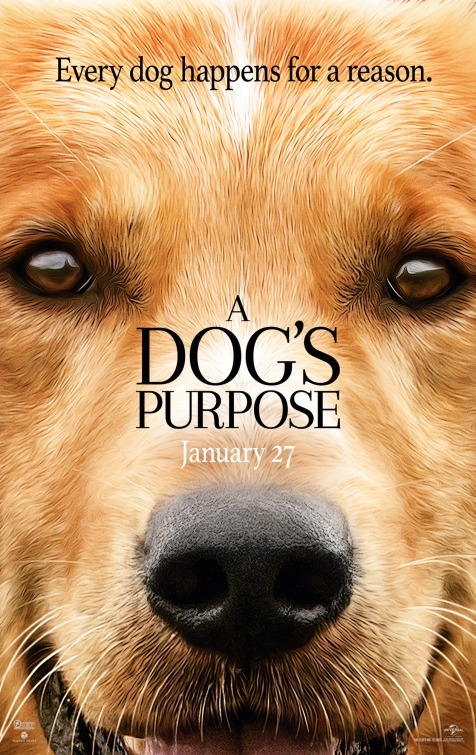 Considering that a large dog has a life span of at least eight years and a small dog can have up to fifteen, you would think that forty or more years would have passed from the film’s introduction to the conclusion. As a German Shepherd, Ellie is in the K-9 corps, monitored and trained by Carlos (Juan Ortiz), in one incident doing his duty in chasing down a kidnapper. In any case Bailey, who decades later returns as Buddy and is coincidentally adopted by Ethan (Dennis Quaid), tries mightily to convince his new owner that he still responds to the name Bailey. Happy ending. Why do people have dogs? Kevin Kline’s character Otto in the 1988 film “A Fish Called Wanda” wondered about dog ownership: “I don’t get it!” The answer could be human loneliness as Carlos, the policeman in the K-9 corps is a widower dining at home alone, the middle-aged Ethan (Dennis Quaid) had split with his girlfriend, and is also alone, while young Ethan is at a loss when his parents continually fight and his drunken father embarrasses him in front of his friends. All is told from a dog’s point of view, as we watch the human beings from the ground up in many cases. With the help of Josh Gad, who takes on the voices of all the dogs, we are made privy to each dog’s psyche. Each wonders at first what’s going on, though never challenging the fact of reincarnation. Each likes food, which means that in a children’s movie inevitably tables are turned over, adults are tripped, cheeks are licked. This is a delightful interpretation of the novel, perhaps too long for a children’s dramedy, so maybe one of the dogs should have been left on the cutting room floor. One scene that I thought was omitted was the video that went viral of the attempt by the crew to drop a dog into the rapids. Though the German Shepherd did well at rehearsals, we watch as the crew people tried to force the reluctant dog into the water while the American Humane Association monitor must have been asleep. (He was suspended.) The premiere had to be canceled, but in the current incarnation we do see the Shepherd jump merrily into the rapids to save a drowning woman. The movie was filmed in Winnipeg, Manitoba to evoke the rural scenery. Comments? Do you agree or not with this review?